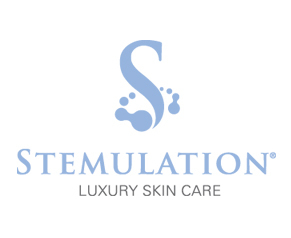 Stemulation™ Luxury Skin Care is revolutionary technology based upon the real science and real results of advanced stem cell research. Topical application of cell derivatives combined with clinically proven, highly concentrated antioxidants introduces growth factors, amino acids and peptides to support and revitalize the skin by diminishing the appearance of fine lines and wrinkles. Clean clinical you can count on, our 100% botanical and organic stem cell extract is pure and safe with non-pathogenic, ecologically friendly and chemical-free ingredients. Founded in 2008 by Laurie Nicoll, after working for a cell research company, was inspired to harness the power and science of stem cells in a brand new way. Driven to find a way to capture the healing properties of stem cells for use in aesthetically, and fueled by her own skin ailments, Ms. Nicoll assembled a team of experts to champion her goal. With the help of a team of doctors and scientists specializing in the field of stem cell therapies from such noted institutions as the University of California Irvine’s Bill and Susan Gross Stem Cell Research Center, two years of research and development culminated in the creation of Stemulation Skin Care.